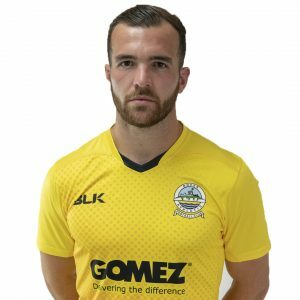 Ryan Bird’s first half header was not enough for Whites to take all three points in a 1-1 draw with Kent rivals Ebbsfleet at Crabble on Bank Holiday Monday. The big striker powered home Mitch Pinnock’s cross on 17 minutes, but United fought back to level through Darren McQueen’s volley. Bagasan Graham strode forward and fired a low effort straight at Mitch Walker as the visitors registered the match’s first shot on target on the quarter-hour mark. Athletic were ahead moments later and Danny Kedwell nearly equalised shortly after, smashing Myles Weston’s cross narrowly wide. McQueen was then denied by Walker, who dived onto the ball after the diminutive forward cut in from the right and fizzed in a shot. Kedwell nodded Jack Powells’ corner over as the referee drew the first half to a close. Following the restart, Jack Payne’s pass was collected by McQueen on the edge of the box, but was once again unable to beat Walker and Pinnock’s free-kick at the other end flew inches wide of the post. Yado Mambo was in the right place to block Nortei Nortey’s vicous volley following a defensive clearance. 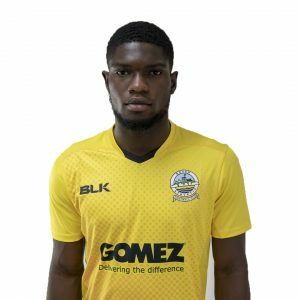 The home pressure continued with Tobi Sho-Silva evading attention on the right-wing and passing into the box, but both Bird’s and Pinnock’s attempts were too weak to trouble Nathan Ashmore in the away goal. The burly stopper then had to scurry back to his goalline to stop Mitch Brundle’s audacious 70-yard effort from going in. It was all square in the 76th minute, McQueen out-muscled Femi Ilesanmi to latch onto Kedwell’s flick and fire past a helpless Walker. And the visitors almost took the lead as Powell headed over substitute Sean Shields’ cross. 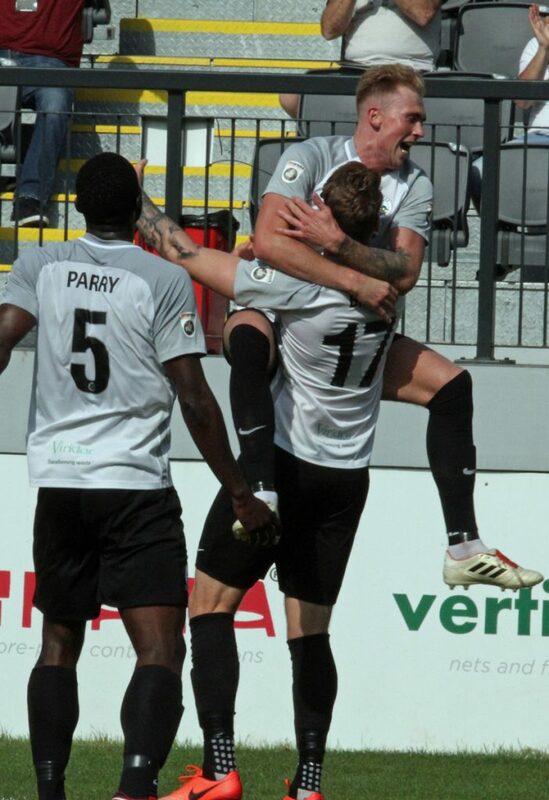 Brundle almost won the game late on, but curled his free-kick into Ashmore’s arms. The draw sees Whites drop four places to ninth in the table. Earlier, boss Kinnear made one change to the starting line-up from Saturday’s match at Macclesfield. Mitch Pinnock replaced Kane Richards, who dropped to the bench. Chris Kinnear’s men travel to Tranmere Rovers next on Saturday 2nd September. Kick off 5:30pm. Dover: Walker, Passley, Ilesanmi (Deen-Conteh 78), Gallifuoco, Parry, Essam, Pinnock (Daniel 82), Brundle (c), Sho-Silva, Bird, Nortey. Attendance: 1625 (373 away supporters).